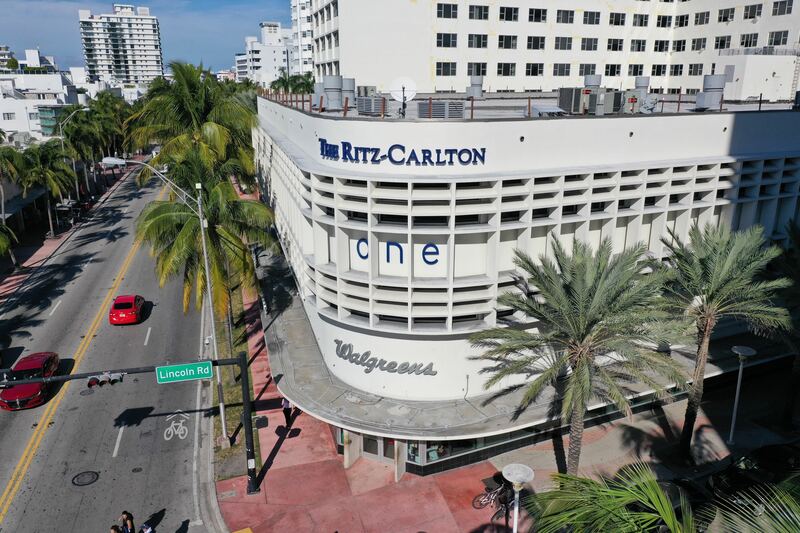 A $78.89 million listing for the 19,000-square-foot Walgreens store on the ground floor of the Ritz-Carlton Hotel on South Beach indicates eye popping prices aren’t over for Lincoln Road. This listing is especially interesting because it’s a long-term leasehold interest with over 100 years remaining on the ground lease. The buyer also shouldn’t expect Walgreens to depart so it can be replaced by a trendy luxury retailer who will pay more in rent. “This flagship Walgreens is one of the retailer’s top-performing Southeast locations,” said Simon Jonna, senior managing director investments in Marcus & Millichap’s Detroit office. Simon and Raymond Jonna are representing the seller, a private Miami-based developer. Ryan Nee, first vice president and regional manager of Marcus & Millichap’s Fort Lauderdale office, is the firm’s broker of record in Florida. The location is about as prime as it gets in South Florida. In addition to being underneath the Ritz, it’s on the corner of Collins Avenue and adjacent to the Lincoln Road Mall. Luxury hotels nearby include the Lowes Miami Beach, Delano South Beach, SLS South Beach, and Hyatt Centric. The property could be attractive to a high net worth investor looking for preservation of capital, Larkin says. One challenge for that class of investor is finding something that can safely generate 5 or 6 percent returns. Although the base terms of the lease are for 21 years, those 10 percent increases would kick in over the 10 year-periods. That’s why the right buyer might be willing to pay more than what a typical market price would be, he says.